BRYAN EATON/Staff photo. 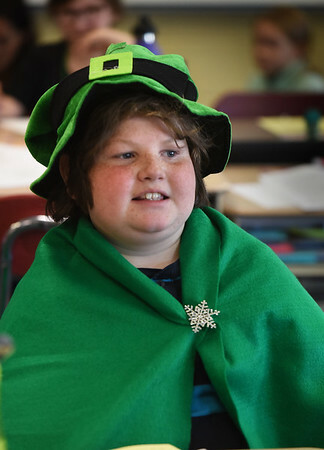 Students at Amesbury Elementary School dressed up in all shades of green with various accessories for St. Patrick's Day. Cillian Harty, 10, dressed up as a Leprechaun with a hat that he's had for several years, but this year added a cape.